Contemplating the end of one’s life can be scary. But hospice care has increasingly become a way for Americans to minimize some of the most frightening aspects of an impending death—be it from cancer, dementia, heart disease or some other terminal illness. Hospice is designed to ease suffering when a person is expected to live six months or less and has decided not to seek further treatment aimed at curing an illness. Hospice care can include medication for pain relief, therapies (such as physical or speech therapy) that improve quality of life and visits from nurses, health aides, social workers, spiritual advisers and doctors. Even though most hospice agencies generally do a good job overall—and have the positive caregiver survey data to show for it—some fail to provide crucial services. 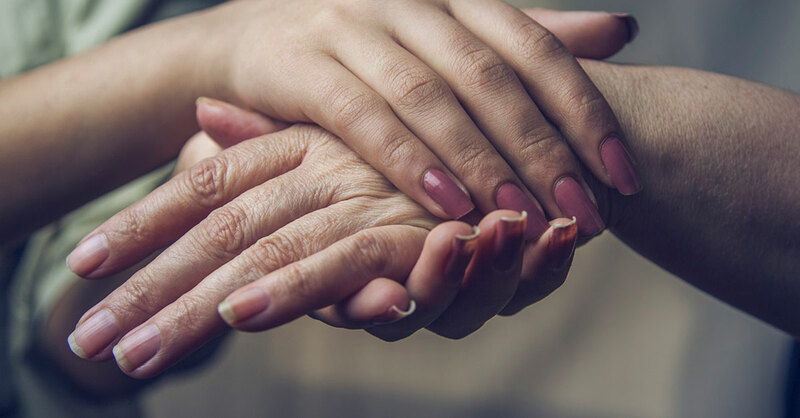 Sobering report: While the use of hospice continues to climb in the US, some troubling deficiencies have been revealed in a recent report from the Office of Inspector General (OIG) at the US Department of Health and Human Services. • Care planning often falls short. Hospices are required to provide a written “plan of care,” developed by an interdisciplinary group that includes a physician, registered nurse, social worker and pastoral or other counselor, for each hospice patient. The plan also should include a detailed statement of the scope and frequency of services needed. However, the OIG report found that in 85% of general inpatient care stays in 2012, the hospices did not meet these basic care-planning requirements. Note: Even though most patients receive hospice care in their homes, the plan of care is still required. • Important services are sometimes lacking. The OIG reported that hospices provided fewer services than outlined in the plans of care for 31% of hospice beneficiaries residing in nursing facilities. Example: A hospice billed for 17 days of general inpatient care for a 70-year-old man but never visited him. Instead, the hospice called his family to inquire how he was doing. Services outlined in plans of care are particularly important to those in general inpatient care because those patients have uncontrolled symptoms—often pain—that cannot be managed in other settings. • Many hospices provide only one level of care. Even though Medicare-certified hospices are required to provide four levels of service when needed, most payments were for only one—“routine care” in the hospice patient’s home (whether that’s a private residence, nursing home or other facility). The other levels of care are “general inpatient care” when the patient is admitted to a hospital or other facility to get symptoms under control…“continuous home care” for someone in a crisis…and “respite care” in a hospital or nursing facility when a primary caregiver becomes unavailable or needs a break. When these additional levels of care are not provided, it suggests that the hospice may not be meeting all of the patient’s needs. When choosing hospice, ask your own (or your loved one’s) health-care providers to recommend some high-quality hospice agencies. Note: Stay in touch with this health-care provider after hospice starts in case you need an advocate at any point. Friends, family members, hospital social workers, nursing-home staffers and clergy members can offer recommendations, too. Also helpful: Consult Medicare.gov/HospiceCompare, which features consumer survey data showing how each agency compares with national averages on measures such as managing pain and considering patients’ values. To dig deeper, check the website for your state public health department, where public complaint information usually appears. If the information is not on the website, call the department and ask how to access it. • How quickly will the hospice team develop a care plan? This should happen within two calendar days of the date the patient is admitted to hospice. If you have questions about the plan, talk with the hospice’s registered nurse case manager or medical director. • How fast is your crisis response time—especially on evenings and weekends? A crisis could be unmanageable pain, uncontrolled bleeding, vomiting or seizures. Important: You want to know how quickly a health-care provider will come to the patient’s bedside, not just how quickly the hospice answering service will pick up the phone. • Will the patient and family see the same nurses, aides and other team members most of the time? Care is often most consistent when you work with the same individuals. • If my loved one is in a nursing home or other long-term facility, who will be responsible for which aspects of routine care, such as bathing, feeding and monitoring the patient’s condition? Facility and hospice staffs may each expect the other to provide these services, which can cause a patient’s care to fall through the cracks. • Is the hospice accredited by any organization, such as The Joint Commission or Community Health Accreditation Program (CHAP)? Such accreditations are not required and their absence is not a mark of poor quality, but they do offer some extra reassurance that an agency has been checked out and meets a basic standard of care. All hospices that serve Medicare patients must be certified by Medicare. States have varying licensing requirements, so make sure any agency you pick meets those standards. You can ask: “What public agency licenses does your hospice have?” For more information, contact the nonprofit Hospice Foundation of America, HospiceFoundation.org. *Hospice may also be covered by Medicaid and the Veterans Administration. Coverage for hospice under private insurance varies.